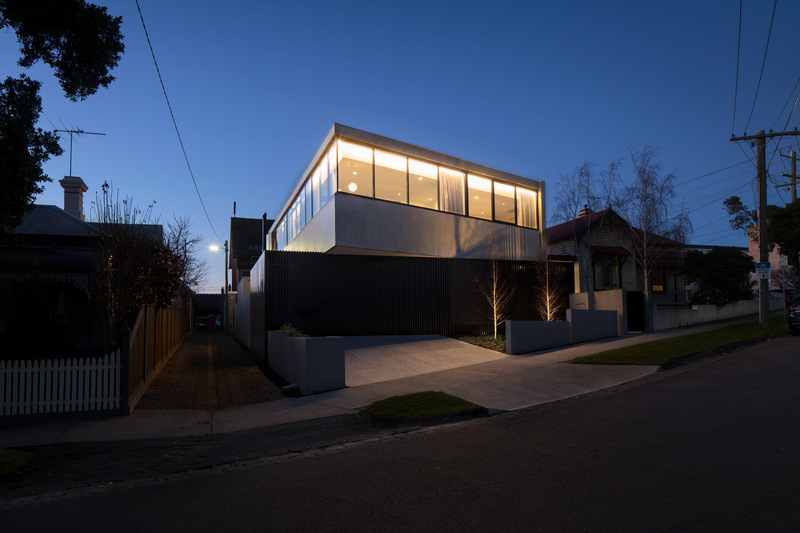 This private residence in Ascot Vale stands tall as a shining example of minimalism and functionality. 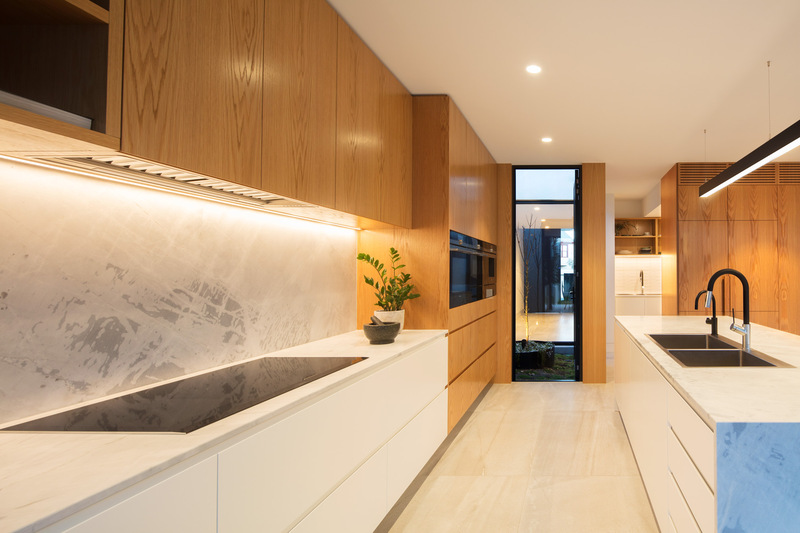 The residence fuses together a material palette of wood, marble and black aluminium to create a bold and dynamic living space. 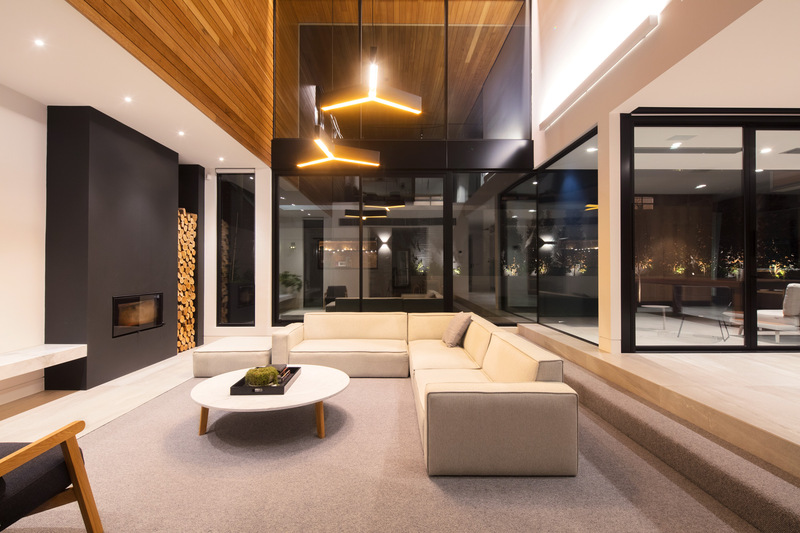 Lights Lights Lights worked closely with the architect to bring to life every detail and material with a combination of Unios™ luminaires and bespoke pendants. 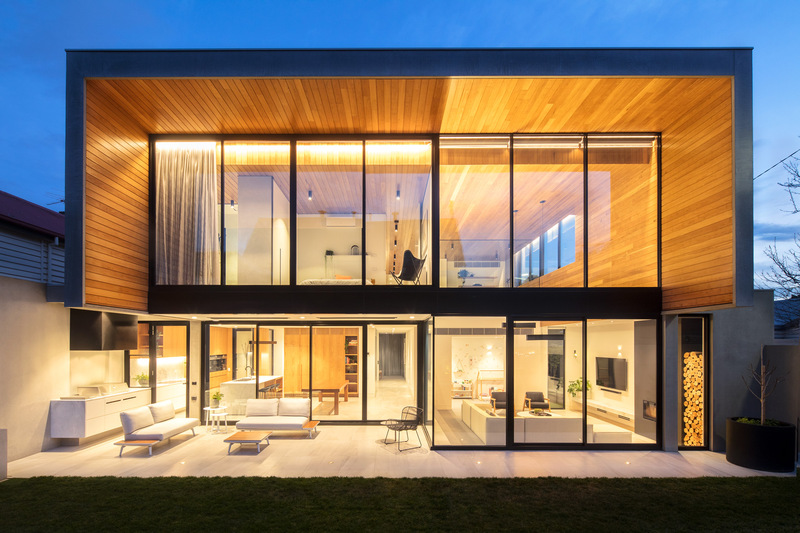 The defining form of the rear of the residence is equally sculptural and inviting with its framed wood cladding and glass facade. 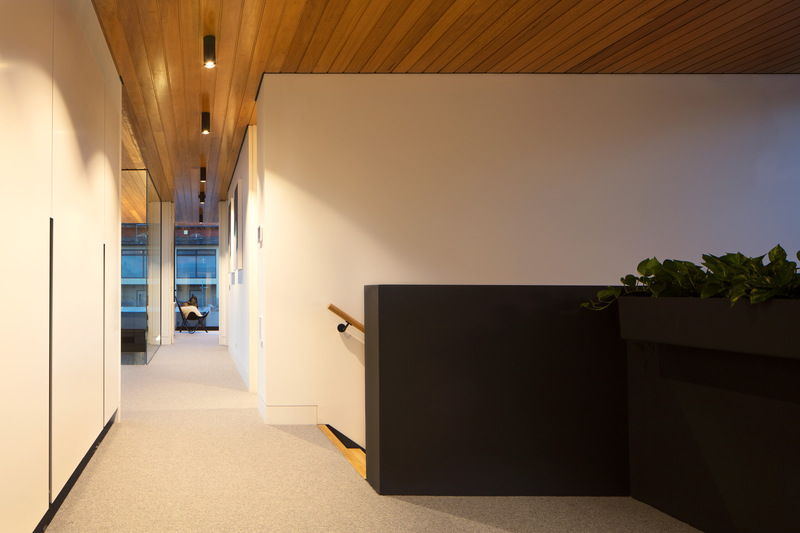 The wood becomes a common thread that connects the different rooms together creating a consistent warming presence throughout. 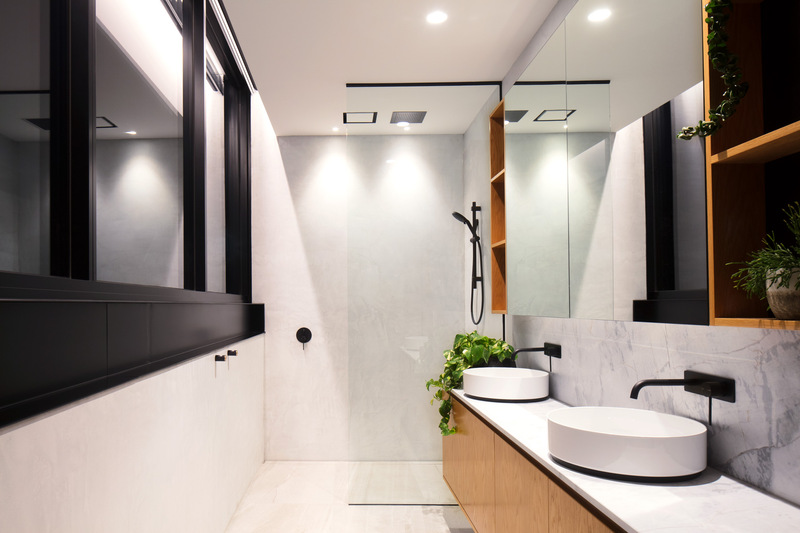 The excellent colour rendering of Titanium Downlights in both surface mounted and recessed variants highlight the grain and warm colour tones of the wood. 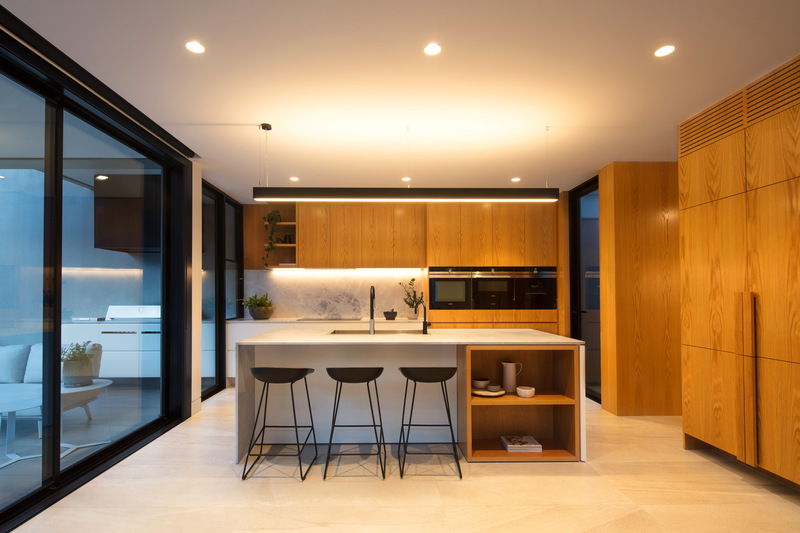 The focus on natural materials continue into the kitchen, dining and living areas with marble benchtops cut at straight angles to match the horizontal lines of the wood. 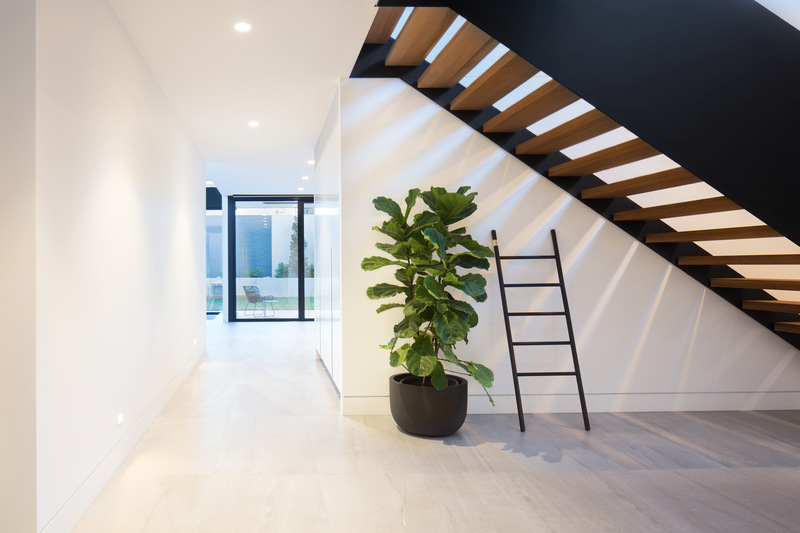 These straight lines are further underlined with a discreet use of Eclipse Strip Lighting. 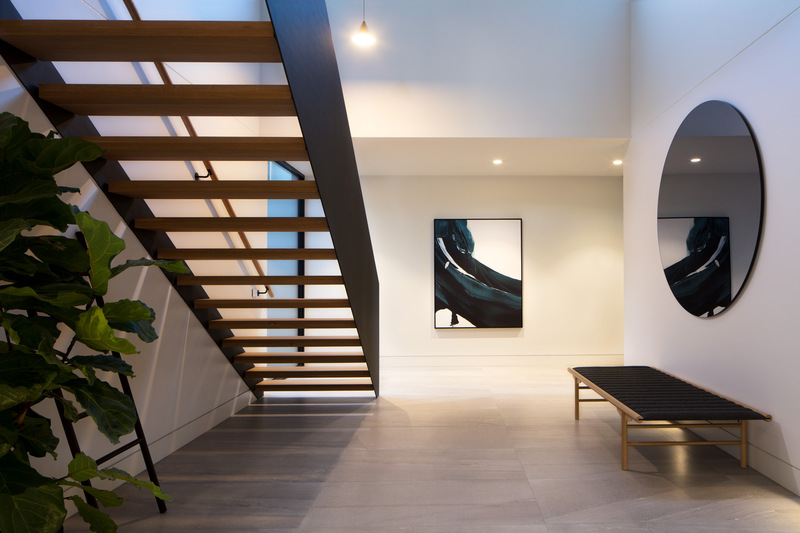 A series of bespoke pendants are interspersed throughout the residence that interplay with the angularity of the architecture by both contrasting and integrating seamlessly. 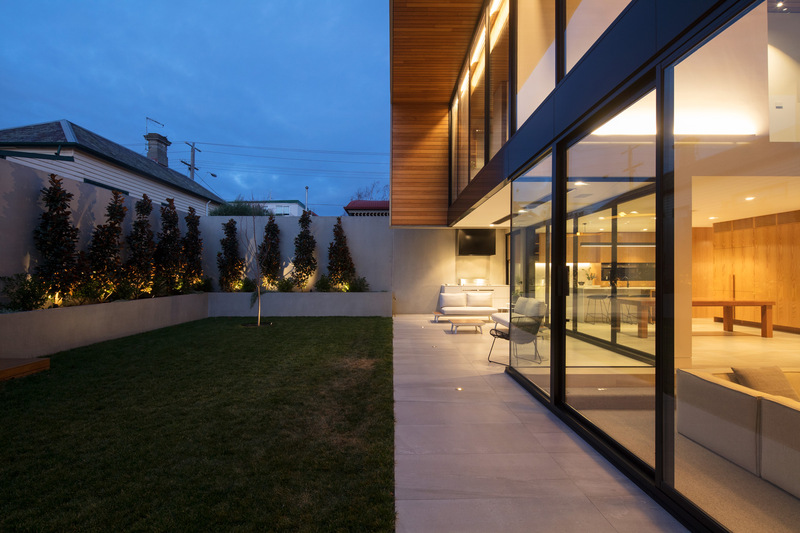 This holistic collaboration of architecture and lighting design shines through in every aspect of this Ascot Vale residence. 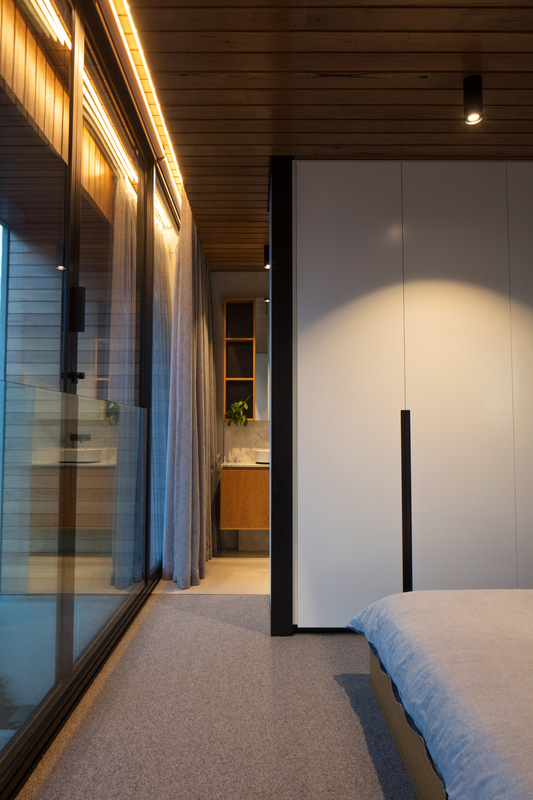 It is a careful consideration of how form, colour and material choice can be unified with meticulously designed lighting.